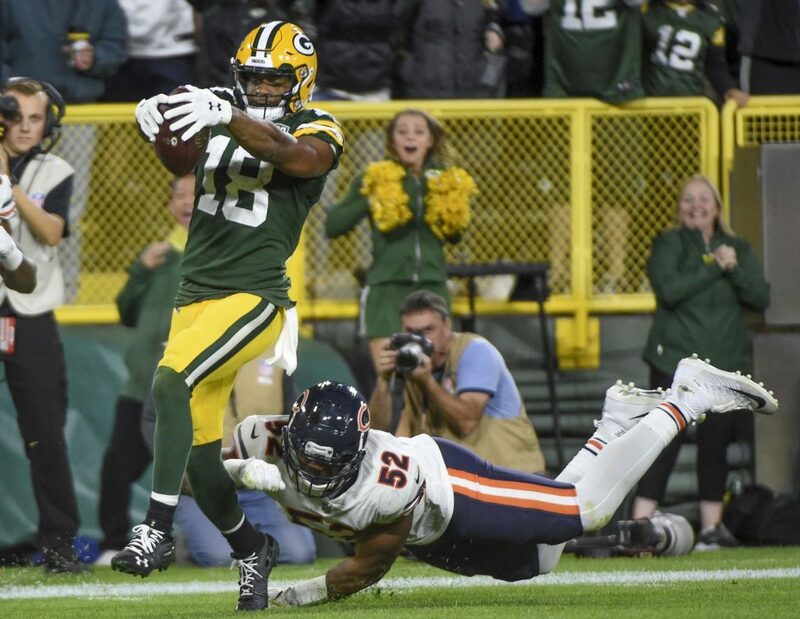 To say the Green Bay Packers opened the 2018 season in dramatic fashion would be an understatement. “That is crazy!” as Al Michaels so eloquently called the game winning touchdown pass from Aaron Rodgers to Randall Cobb. It was an incredible opening game win on national TV and ever better because it was against the Chicago Bears. Nothing is better than beating the Bears. Especially in that fashion. The Bears came out on fire and totally dominated the first half on both sides of the ball. Of course it didn’t help that Rodgers got hurt and had to leave the game. Deshone Kizer proved to be the turnover machine he was last year in Cleveland, even while showing some ability to move the offense. He didn’t get any help from the play calling of head coach Mike McCarthy, but Kizer, I think, still looked better than Brett Hundley did last year. Whether he did or not, well, I hope the question is moot. 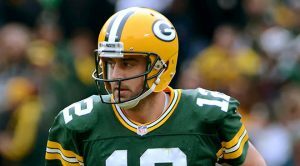 Rodgers was able to return and play like the MVP and future Hall of Famer he is. In fact, the case could be made he played better after he got hurt than he did earlier in the game. I for one, am not a fan of Rodgers “extending plays” philosophy. Quarterbacks are quarterbacks and should be delivering the ball, not running around putting themselves in harms way. There is a reason why Brett Favre and Tom Brady played (playing) so well into their 40s. It was not extending plays. It makes you wonder. Are teams trying to force Rodgers to extend plays? Maybe he isn’t as good as we think at it. Because staying in the pocket and throwing darts was pretty effective post injury. I totally understand that Rodgers didn’t get hurt trying to extend a play here, but just saying, I sure like him in the pocket a lot more than trying to be Tarkenton. Guessing the offensive line likes it, too. They were a wall the whole second half after a rough first half knowing Rodgers was right behind them. But the real unsung heroes of this game was the Packers’ defense. Granted, they weren’t going against Joe Montana (tried to use a great Bears’ QB here but couldn’t think of one), but Mitchell Trubisky is definitely one of the better young QBs in the league and the Bears have a great running game. In the past, that was a recipe for disaster for the Packers defense. The Packers defense gave up their fair share of plays, and a couple of painfully long drives, but in the end they held the Bears’ to under 300 yards and Jordan Howard to only 83 yards. And the when the chips were down, they held on third-and-one with the game on the line at the Packers’ 14 with 2:47 left. The Packers haven’t made that play in years. The defense only gave up 16 points in its Mike Pettine debut and I like what I see. Especially from the young secondary. Jaire Alexander and last years first round pick Kevin King look like the real deal. It is going to be fun to watch this defense develop. A huge test will be next week when the NFC North Champs come to Lambeau. I think it would have leaked out by now if Rodgers was out for the year or had a serious injury. As of right now I fully expect him to be in the lineup next week. If so, this game could shape the NFC North division right from the start. After the debacle by Detroit last night, a win over the Vikings would give the Packers a win over what may be their two biggest challenges to the division title. This entry was posted in Al Davis by Al Davis. Bookmark the permalink. "Success is not a sometime thing - it is an all-time thing."